Every year, the United States welcomes foreign exchange students from all over the world. During the 2017-18 school year a record 1.1 million students came to study in schools and colleges throughout the U.S, and that number has been on the rise year-over-year since 2007.1 More and more host families have been opening their doors to help make this happen. The U.S hosts more international students a year than any other country, and American families across the country are discovering the joys of hosting a foreign exchange student. If you are thinking about hosting a foreign exchange student or want to know how to get started, this complete guide will take you through every step of the way. What Is a Foreign Exchange Student Program? A foreign exchange student program helps high school or college students travel to a new country to live and study abroad. 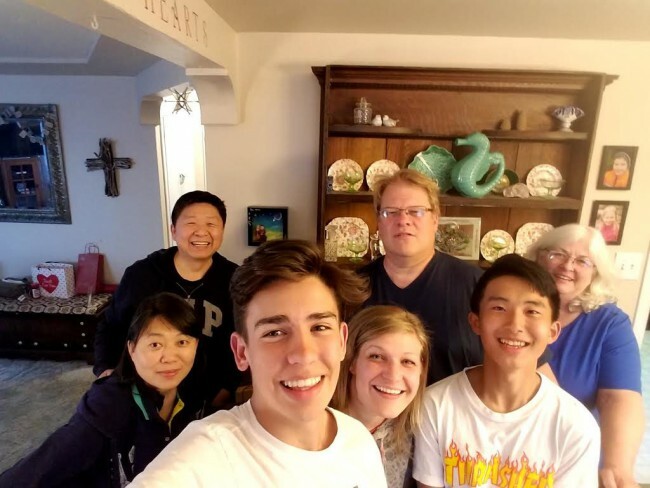 Exchange students study at a local high school or college, integrate into the American student lifestyle, and live with a host family in their home. How long a foreign exchange student stays with a family depends on the study program they participate in. Length of stays can range from a week, a semester, or even an entire academic year. We will go into more detail on that later in this guide. Earn extra money by hosting an exchange student. Ability to share your family’s way of life with someone new. Invest deeply in the life of a student and help them to grow and thrive. Build a strong friendship with your student and grow your personal network by having a new friend in a foreign country. What are the Requirements to Host a Foreign Exchange Student? Hosting a foreign exchange student is something almost any family can do. There is no traditional model of a host family, as they come in all different forms and backgrounds. The most important thing is that you are able to provide a clean and safe environment for a foreign exchange student to adapt and thrive in their new surroundings. A background criminal check is required for all adult family members within the household to ensure that all our host families meet general safety standards and our students are safe during their stay in America. What Should I Consider Before Hosting a Foreign Exchange Student? How Long Do I Want to Host a Student? As we mentioned earlier, the length of hosting an international student can vary greatly, from one week to an entire academic year. You should consider how much time you can and want to commit to hosting. Which Type of Student do I Want to Host? 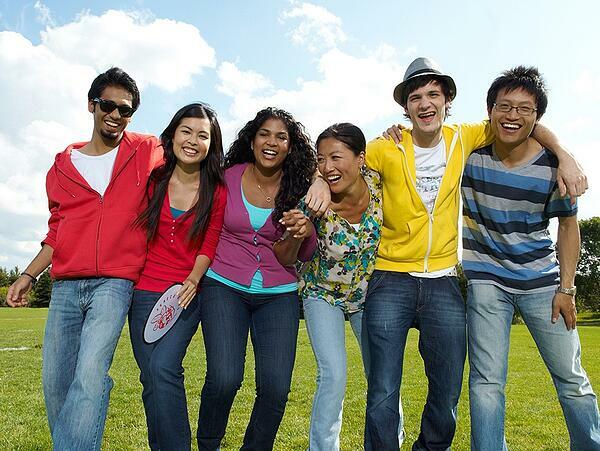 With AmeriStudent, you can host a college exchange student or high school student. It’s worth considering your ideal age range for a student. There will be different levels of responsibility, student needs and expectations. 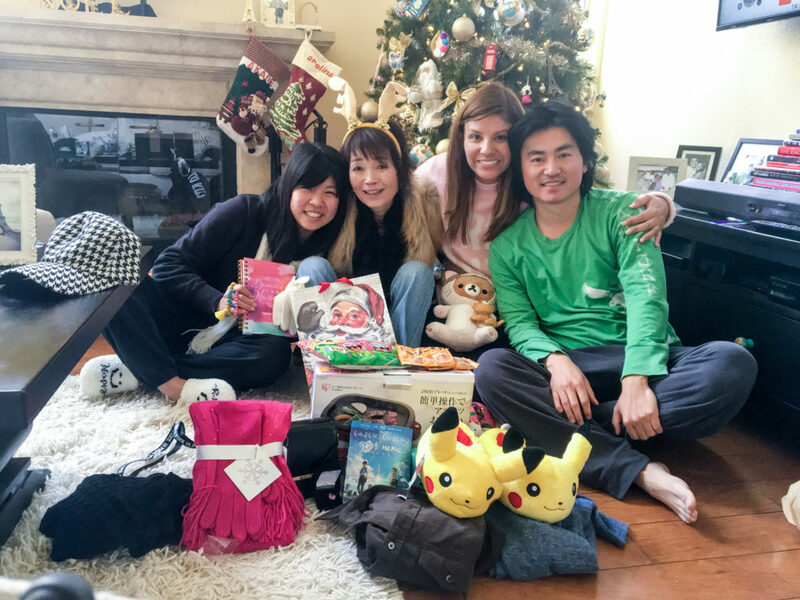 Is My Family Ready to Host an International Student? Extra person in the morning (wake up, breakfast, bathroom use). Your house will need to be safe and inviting, and you should be willing to open up common areas such as your living room, kitchen and yard. Do I Want a Male or Female Student? Some families want to have the same gender as their own children, while others prefer to give their children a mixed-gender sibling experience. It is worth taking a moment to discuss and consider what gender you and your family would like to host. Keeping these questions in mind will help you to plan out the exchange student experience your family is looking for. It will also help you prepare your home and schedule for an exchange student, giving them the smoothest transition into American life possible. As you can see, preparing to be a host family is fairly straightforward. Like with any relationship, host families and students have to put in the work to get through any rough patches. Students may fail to meet your expectations. Whether it’s in their personality, a failure to keep house rules, or their school performance. You may just have to be patient and provide positive guidance for their success. Hosting a student can require extra time and energy. Take into consideration they will need to be fed, transported, conversed with, and supported. Any potential challenge can be worked through and overcome with patience, perseverance, and support from AmeriStudent representatives. What Are the Different Types of Programs Available? Before we get to how you can become a host family, when want to explain the different types of student programs available. When exchange students come over the to U.S there are two main types of programs they will be on, an ‘Exchange Program’ or ‘Study Abroad Program’. The type of visa that a student arrives on. A ‘study’ or ‘cultural’ exchange. Getting paid to host a foreign exchange student. A student on an exchange program is usually on a J-1 visa. Their focus is to learn as much as they can about American life and culture. On these programs studying may not always be their sole priority, with the length of stay being anywhere from brief one-week camps to a maximum of 12 months. Families who host students on exchange programs do not get paid for hosting a student.2 These programs are great for shorter term arrangements where both the host and student are solely focused on the experiences and cultural exchange. A student on a study abroad program, is usually on a F-1 visa. Their focus is on their full time studies. These students may not have as much time to focus on American culture outside of studying. They stay until their studies are finished, which can range from a single semester up to an entire 4 year course (with breaks between academic years). The majority of exchange students that come over the the U.S are on a study abroad program, which does allow a host family to get paid. Hosting a student long term can incur extra costs through laundry, meals and general household living, which is why many programs offer an attractive monthly stipend. Many host families use this extra money towards bills, providing more financial flexibility, and residual income to enjoy. It is worth considering that the difference in programs may affect a students perspective, what they hope to gain from their experience, and how they interact with their host families. If you would like to find out more about the differences between J-1 and F-1 visas and programs, this guide by the NFHS provides more detailed information. Now that you have all the information needed to make the best choice for you and your family, we are now going to guide you through how you can become a host family yourself. As you start the hosting process, it’s important to take some time to research the different hosting agencies in your region (we have a list of the key things to look out for in the section below). Our application process at AmeriStudent is as thorough, painless and quick as possible for our new host families. The initial application takes only 10-15 minutes to complete. Once we have checked it, a member of our team will contact you for a few further questions. We will then contact your references and run our initial background checks. Once everything has returned without any problems we will organize a home visit. This is just to ensure all of the information provided throughout the application is accurate, and your home is safe and inviting for an international student. After successfully completing the process you will be ready for us to find a foreign exchange student that is a match for you. The demand for host families tends to be seasonal with Summer and late Fall having the highest demands. If you are not matched with a student right away don’t worry, we keep a pool of qualified host families ready for the next wave of homestay demands. What Should I Look for in a Host Family Program? The international exchange student industry has exploded in recent years, with more and more agencies popping up to take advantage of the demand for study abroad experiences in the U.S. Unfortunately, there are a number of agencies out there who are not operating at optimal levels to support you in your hosting journey. In these situations, the experience for both the student and your family can be jeopardized. 1. Is the Agency CSIET Certified? The Council on Standards for International Educational Travel (CSIET), is a non-profit watchdog organization. It is their mission to provide leadership and support for exchange students and educational communities across the United States. They aim to ensure that all students are provided with safe and enriching international experiences. If a company is CSIET certified, it can provide you with peace of mind that they are adhering to the highest standards in all areas. Ameristudent is proud to be fully listed on CSIET, as we are committed to providing an enriching experience for all our students and host families. 2. How Does the Stipend Work? It will be important to know how much the stipend is and when it is paid. You may also want to ask if the company has a host family reference that can vouch for the stipend payments. 3. What Safety Protocols are in Place? You will want to ensure that things such as, a students insurance, background checks, student visas and other safety protocols are in place. 4. What Kind of Training and Support will I Receive? If you are a first time host, training and support will be crucial. You will want to know that your chosen company has representatives on hand should any issues arise. Take into consideration how helpful they are to begin with, how long they take to get back to your questions, and how responsive they are in their answers. It is worth noting that ongoing support is equally (if not more) important as initial training. 5. How Regular are Home Visits? Home visits should ideally happen on a monthly basis at a minimum. They may seem time consuming for a busy family, but they offer an additional layer of support and face to face time with a representative. 6. What are Your Feedback Requirements? Most companies will require some form of reporting so it is important to ask what these requirements will be and how much of your time they will require. At AmeriStudent we require our host families to provide monthly reports that include photos and general information about the student’s progress. We also ask for any accomplishments or challenges that arose the previous month. While detailed, these reports only take about 15 minutes to complete. How Much do Host Families get Paid? We mentioned earlier in the guide that you can get paid to host a foreign exchange student, but the amount of the stipend is based on several factors. Depending on the length of the homestay program and your location, the payment can vary, but generally you can expect to receive around $30 - $60 per day or about $1,000 - $1,400 per month. Short-term study programs which last up to a few weeks at most, are paid on a daily rate. Long-term study programs which are made up of students studying for entire semesters or full academic years, are paid on a monthly basis. To help you plan and maximize the potential of your extra payments, check out our guide on ‘How to Make Money Hosting a Foreign Exchange Student’. Here are some important tips with you to help your hosting experience be as smooth as possible. Have all your due diligence in place when it comes to paperwork, contracts and training. It can seem like a lot of work at times, but it is crucial to ensuring yours and your student’s safety. Prepare your student’s room. A good practice is to put yourself in their shoes. Imagine what kind of room you would like as a young person, traveling thousands of miles to come live in a new country. Aim to create a clean, inviting, and homey space for them. Familiarize yourself with their school schedule and calendar. Students may be very overwhelmed at the beginning. You can help them understand what to expect and guide them along the way. Give your student a tour of the house. Make them feel at home by showing them more than their bedroom and the bathroom. They may be unfamiliar with how your appliances work and need help with small details, like where toilet paper or clean towels are. Set your foreign exchange student rules and expectations. As with all young people, your student may not keep to all your rules perfectly. Setting expectations from the beginning helps and can be a conversation to re-visit in the future if required. Encourage your student to speak. Helping your student speak English could help them feel more confident and involved, as they adapt to their new surroundings. Be flexible with meals. Your student may need some time to adjust to different types of food. Be patient with them if needed, as they will be dealing with multiple cultural differences. It may take time at first for them to adjust to a new diet and the types of food your family eats. Let them rest. You may be excited to take your student sightseeing to all your favorite places or introduce them to your friends. Try to take it easy in the beginning as they may be jet lagged and overwhelmed by all their new surroundings. Give them time to rest and get settled. Step 3: Once Your Student has Settled in. Stay engaged. Some students will be talkative and eager to join you and your family in whatever you do. Some students will be far less outgoing, so, do your best to stay involved in their school and home life, while still respecting their need for space. Keep inviting them to join your family outings, they may just need time to warm up to your family. Recognize that cultural differences matter. Different cultures express things like disagreements or requests in different ways. Remember that there may be different communication styles in play. Also be sensitive to the fact that your student might be too embarrassed or intimidated to share what they really think. Reach out if you need help. AmeriStudent offers 24/7 emergency support anytime you need to speak to one of our representatives. Stay connected with your student’s school, and help your student contact teachers or tutors if they need extra help. 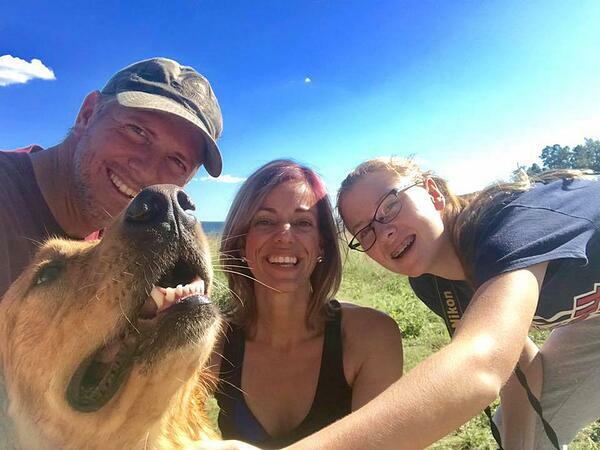 If possible connect with other host families in your area, they may have some great suggestions from their previous experiences. Exercise patience and perseverance. No matter how great a student or a host family is, challenges are always likely to arise. When miscommunications arise you can help get all of you through it by being patient, and continuing to work at the relationship so that things keep moving forward. 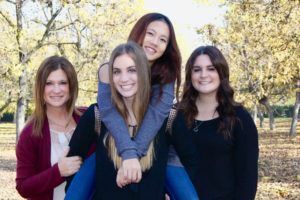 We have spoken about the benefits, lifelong memories, and amazing impact hosting a foreign exchange student can have on your family, but we don’t want you to just take our word for it. Last year was Michelle’s first time hosting a long-term, academic year student. Her experience was so positive she is currently in her second time hosting with AmeriStudent. Michelle is thrilled to be hosting her student from last year again, as they got along so well they wanted to continue their homestay arrangement in the new school year. Her student, Emily, attends Fresno Christian School and over the past year and a half, she’s become a beloved member of the family. “Emily fits in our family so well and we have a lot of fun together. We enjoy watching her learn and grow as she experiences the American culture and she has taught us about her homeland also. I love seeing Emily succeed in school and how much she looks up to my youngest daughter. We have all really bonded well and she is part of our family. She is adventurous and outgoing and always goes with the flow. I love that Emily is willing to try new things and meet new people. This is our second year hosting and we are thrilled to have her back in our home! She has become part of our family and we are all settling in well again! Emily has a fun personality and we laugh a lot together. She enjoys hanging out with us, going on walks, playing games/puzzles, and trying new food. I have already seen her grow and mature since last year. She is learning to cook and is doing a fine job! She is excited about being involved in the yearbook class at school and is a very talented artist/photographer. We have enjoyed the pumpkin patch and are looking forward to some more exciting holiday celebrations and adventures this year! Emily is like my own daughter and I love her dearly. 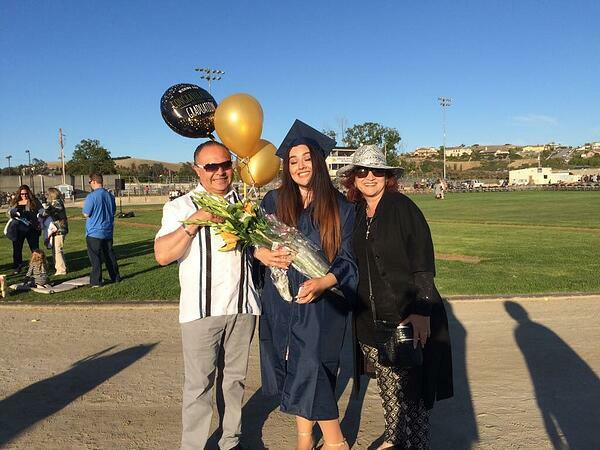 AmeriStudent is based in California and maintains a large network of partnering schools, and one of our first and most established relationships is with Fresno Christian School (FCS). FCS was established in 1977 and is located in Central California on a 15-acre campus. It is a fully accredited, private co-ed institution boasting a robust academic program, excellent faculty, and strong athletic and extracurricular programs. This includes an award-winning online school publication, The Feather. The school has a long history of partnering with international students and is committed to their success at school and at home, for the entirety of their stay. The school prides itself on the tight-knit community it has built over the years. FCS host families gain the huge benefits of access to resources, connections, and support through the larger FCS family. Hosting an exchange student for the school is a ticket into the life of the local community. 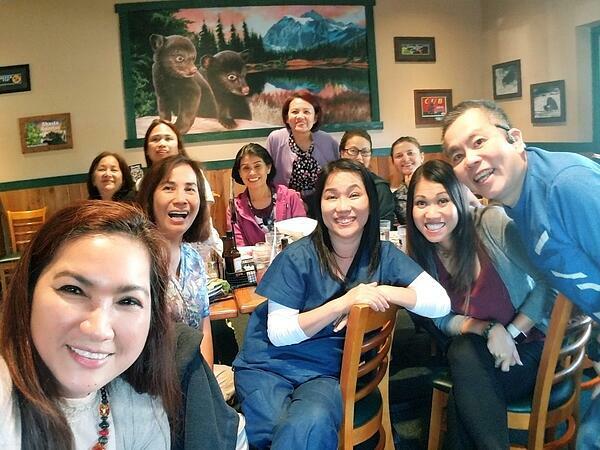 AmeriStudent also maintains an on-campus presence at FCS, coordinating homestay arrangements and tutoring. Connecting with the students during the week, providing anything the students need to help them successfully navigate their time at FCS and with their host families. We also coordinate activities and opportunities for the international students to connect with the American student body. Our goal is to encourage and facilitate the complete integration of these students into their student body and student life so they can make the most of their time in the U.S.
We hope you have enjoyed our guide and found our information helpful. Deciding to become a host family for an exchange student can be one of the most rewarding decisions you make, and we want to be there for every step of the way. 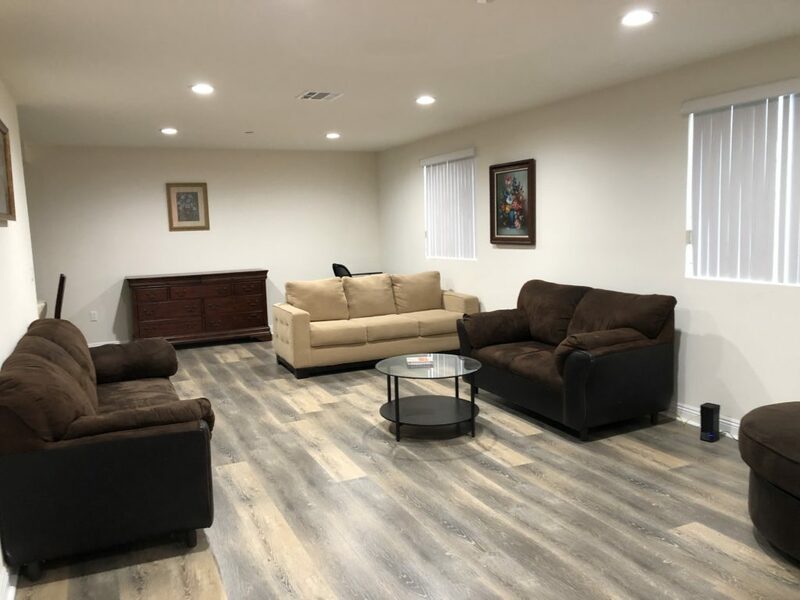 At AmeriStudent we offer a comprehensive and supportive homestay service which finds host families for thousands of international students across California. We have built our reputation as one of the nation's leading homestay service providers thanks to our industry leading training and support system. We are proudly CSIET credited, we are committed to safety, excellence and integrity. Perhaps most importantly, our team is 100% committed to supporting you. When you choose to host through us, you are getting one of the best services along with one of the most attractive payment rates in the country. We are here to support every step of your hosting journey, if you want to find out more about being a host family with us, give us a call we would love to have a chat - 877-385-8425. To read more about what it is like to be a host family with Ameristudent and why families love our services, we have more information here. Take the first step to becoming a host family with us, fill in an application form today. Your hosting journey awaits, and we look forward to meeting you!